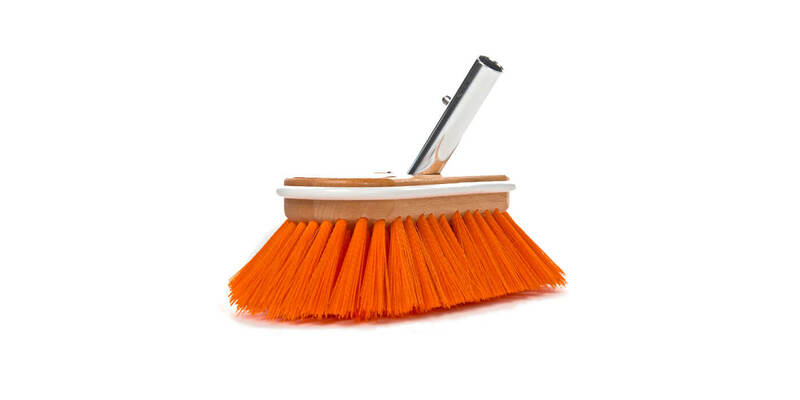 Is made from a varnished hard-wood block with brush hairs placed at an angle in order to get to hard-to-reach places. 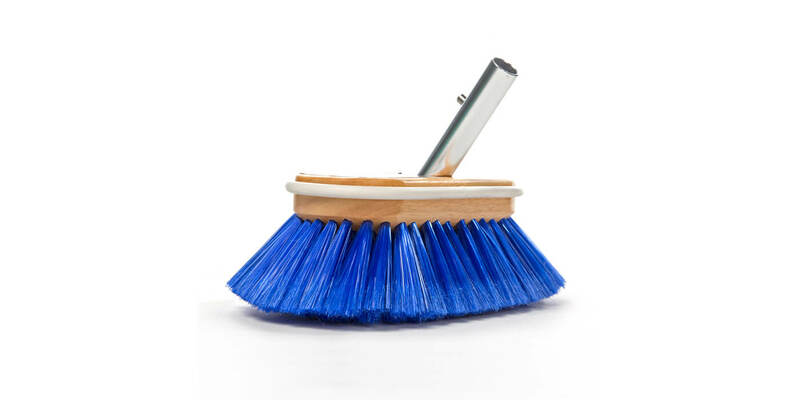 The bright dip/high-gloss anodised connector has a stainless steel spring clip button, allowing you to quickly mount the brush to a deckmate handle. 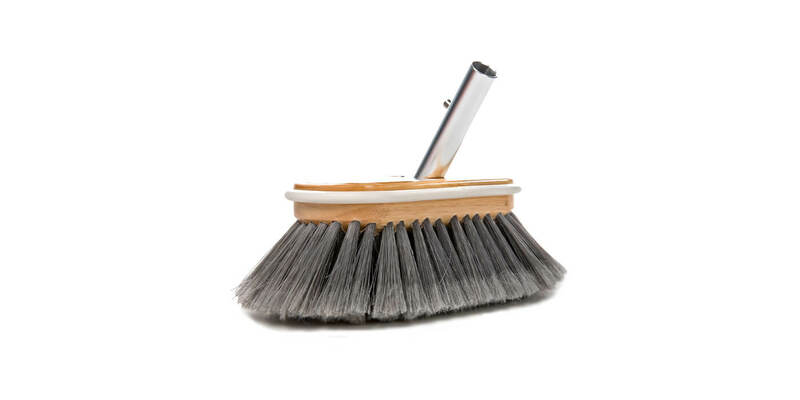 The 75mm grey PVC brush hairs are soft and completely encased in the wooden block and have been secured with corrosion resistant staples. The ends of these grey hairs are split open for additional water absorption. A white plastic bumper prevents stripes and damage during cleaning. This is the most commonly used brush that is used for all-round use. 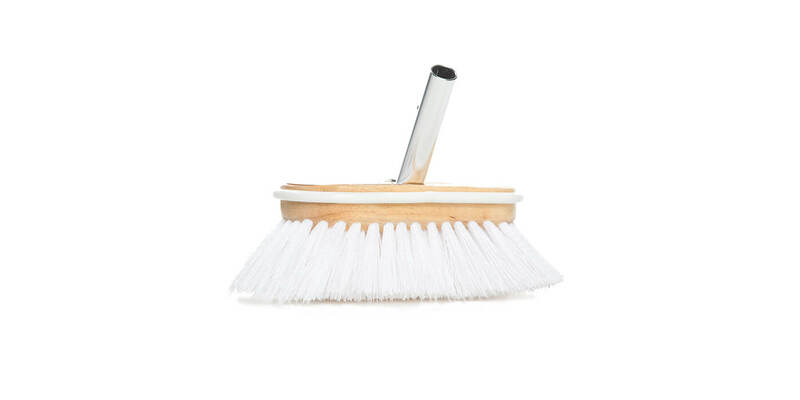 After use, it is recommended that you wash the brush in plenty of fresh water, shake it and leave it to dry. This product has already been added to your quote. would you like to become a point of sale for deckmate?